This product is suitable for those who swim in rivers and lakes, open waters. Higher security is ensured with double airbags. If one felt tired, legs cramp, choked or other emergency situations during his swimming, he could immediately grasp the drift bag against the water to have a rest ,until he was recovered from the discomfort and be able to go on. 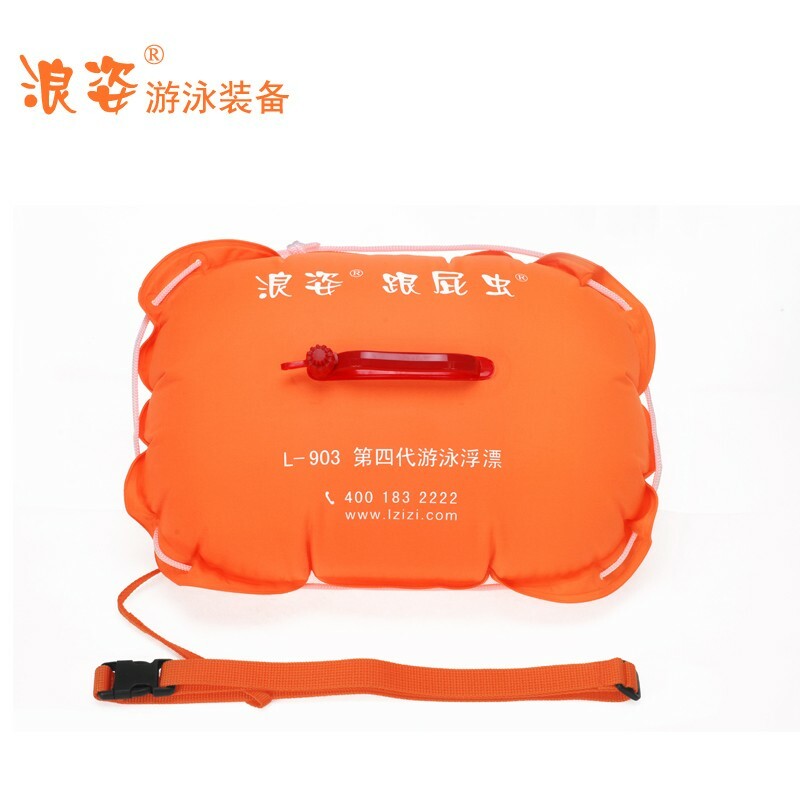 Product Features: The fourth generation is the updated version of the third, it is shaped like a pillow circled with nylon rope, it should be chosen before and after swimming rafting in case of emergencies, you can catch the specified handle when facing the waves. 2, belt connection: (1) pull the orange belt through the red handle, then pull one end of the belt through the ring of the other end, and tense them to the red handle . (2) put the belt through the other end to connect with the ring. (3) connect the belt in the waist and adjust the tightness.